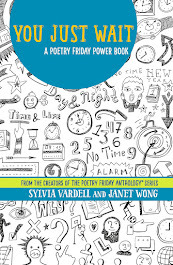 I wrote an article on the resurgence of poetry anthologies for ALA's BOOK LINKS magazine that is out this month, "500 Reasons to Explore Poetry Anthologies." 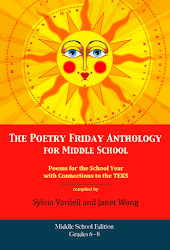 As I worked on it late last year, I was stunned to see how many poets are included in the 10 anthologies that I featured-- over 500! And I was thrilled to see how diverse these collections are, too. You'll find the whole piece online here and some key nuggets below. 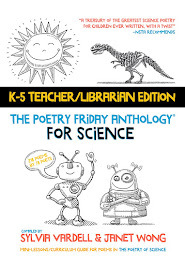 Hooray for poetry anthologies! It's the best way to introduce young people to MANY poets and a wonderful way for NEW poets to get their work out into the world! 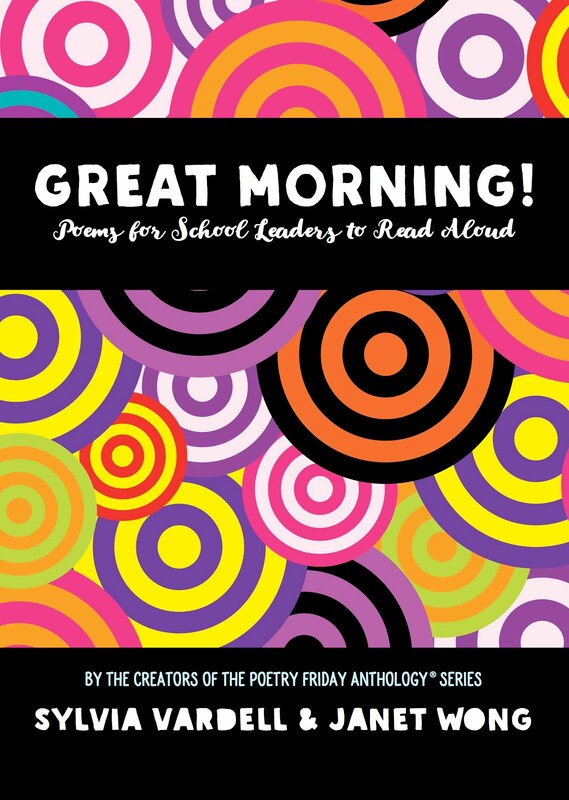 If you were to spend approximately $100 and order the ten poetry anthologies featured here, you would have access to 500 different poets who write for young people. 500! Who knew there were so many classic and contemporary poets to seek out and savor? The recent resurgence of the poetry anthology has provided a valuable resource for celebrating diversity in literature. In these ten current poetry collections, the editors have actively sought out many new poets to offer new perspectives on a variety of themes and topics. 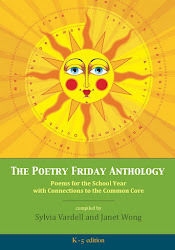 It’s also interesting to see the diverse forms that these anthologies can take: blending poetry, fiction, and nonfiction and providing cross-genre connections so important for teaching, maximizing the picture book format with illustrations that can inspire each poet or provide a unifying theme for the poetry, or eschewing art and illustrations to focus on poetry exclusively. Many of these outstanding new collections are the creations of new or small presses taking risks to reach poetry readers. And many new voices make their first appearance in a poetry collection or anthology. 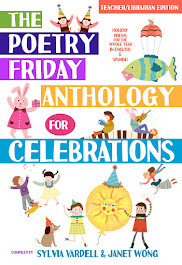 In sharing these poetry anthologies, we can provide opportunities to meet new writers, new poetic forms and styles, and new ways to approach themes and topics and perhaps inspire young readers to create their own collections of favorite poems. This powerful poem-story combination hinges on questions of identity and family and who we are when we have no family or our family members are gone. 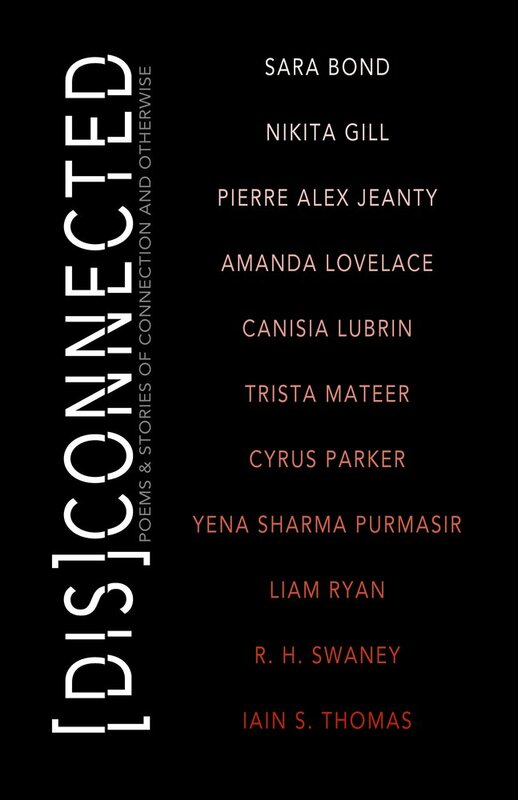 The next book, [Dis]Connected: Volume 2, will be published in the fall of 2019 and features a whole new crop of poets. Erdrich reminds us that the last anthology of Native poetry was published in 1988, so this collection is long overdue and very welcome. 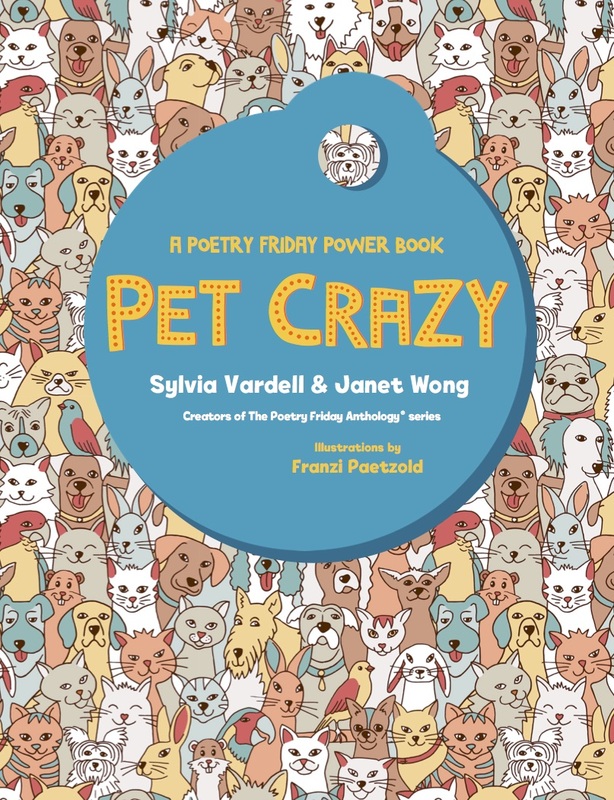 Young readers may be somewhat daunted by an anthology free of interior illustrations, but will surely respond to the powerful emotions, experiences, and expressiveness in this collection. Pat Mora, Allan Wolf, and more. 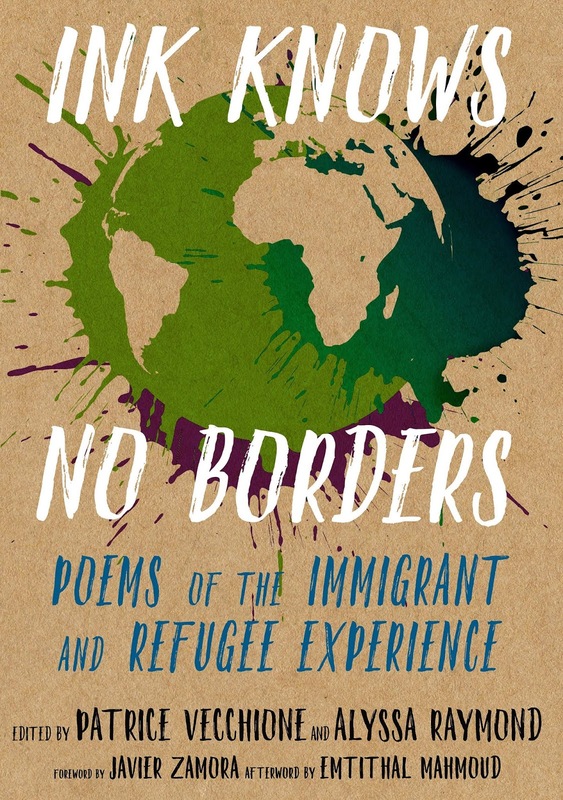 Patrice Vecchione and Alyssa Raymond offer an anthology for older readers entitled Ink Knows No Borders: Poems of the Immigrant and Refugee Experience featuring 64 poems by poets such as Elizabeth Acevedo, Tarfia Faizullah, Hala Alyan, GallMukomolova, Bao Phi, Ocean Vuong, and many more. 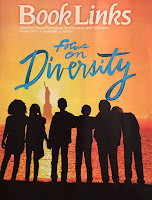 Publisher Ruth Weiner reported that the editors wanted to “create a sense of the immigrant and refugee experience that would honor its complexity and variety.” They sought out poems that “represent the range of poets’ ethnicities and most deeply give voice to the experiences of young adult first and second generation immigrants and refugees” as well as an historical perspective provided by established poets such as Ellen Bass, Eavan Boland, Jeff Coomer, and Li-Young Lee. It looks like an exciting assemblage of poet voices with a very important and timely focus. 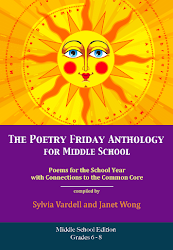 I’ve had my own experiences creating poetry anthologies in assembling informal collections for my students, friends, and family, as well as in collaborating with poet Janet Wong to publish poetry anthologies that include guidance for sharing and teaching each poem. It’s a daunting task to curate poems into an effective whole, but we always enjoy seeking out new poet voices to participate. 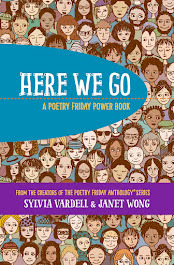 It shouldn’t be surprising that poetry is a place where diversity is welcomed—and I hope those who choose and use books with young readers will look to poetry to help paint a richer portrait of who we are as an “anthology” of people. Erdrich, Heid E. (Ed.) 2018. 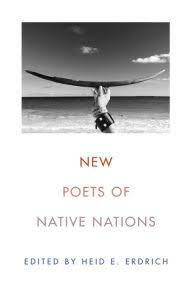 New Poets of Native Nations. Minneapolis, MN: Graywolf Press. Hopkins, Lee Bennett. (Ed.) 2018. World Make Way: New Poems Inspired by Art from the Metropolitan Museum of Art. New York: Abrams. Hudson, Wade and Hudson, Cheryl Willis. (Eds.) 2018. 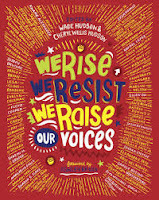 We Rise, We Resist, We Raise Our Voices. New York: Crown. Janeczko, Paul B. (Ed.) 2019. The Proper Way to Meet a Hedgehog and Other How-To Poems. Ill. by Richard Jones. Somerville, MA: Candlewick. Lewis, J. Patrick. (Ed.) 2018. The Poetry of Us: More Than 200 Poems about the People, Places and Passions of the United States. Washington, D.C.: National Geographic. Lovelace, Amanda; Gill, Nikita; Thomas, Iain S. et. al. 2018. Disconnected: Poems & Stories of Connection and Otherwise. Delta, BC Canada: Central Avenue Publishing. Paul, Miranda. (Ed.) 2019. Thanku: Poems of Gratitude. Ill. by Marlena Myles. Brookfield, CT: Lerner/Millbrook. Vecchione, Patrice and Raymond, Alyssa. (Eds.) 2019. Ink Knows No Borders. New York: Triangle Square/Seven Stories Press. Waters, Fiona. (Ed.) 2018. Sing a Song of Seasons. Ill. by Frann Preston-Gannon. Somerville, MA: Candlewick/Nosy Crow. Yeatts, Tabatha. (Ed.) 2018. 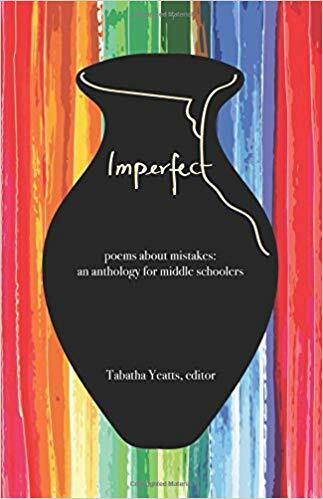 Imperfect: Poems About Mistakes: An Anthology for Middle Schoolers. Rockville, MD: History House Publishers. Now head on over to Tara's place at Going to Walden to get access to all the Poetry Friday posts this week. What a fabulous article, Sylvia. It *is* amazing how one can enjoy 500 poets in just 10 anthologies. Nice to see some familiar titles in your roundup and I'm looking forward to checking out the others. So much goodness! Hooray for anthologies! Thank you for this rich post full of resources. I've got some reading to do. Thank you. Hooray for anthologies. Thank you for this wonderful list of anthologies! Thank you for this list of anthologies and introducing me to a couple that I had not heard of yet! 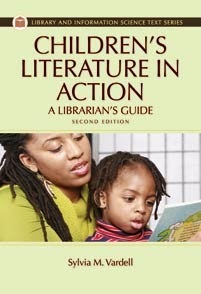 This is such a helpful resource. I've read some of these anthologies, but not all, and I look forward to digging into these others and getting myself more familiar with the new-to-me poets and their poems. Thanks for sharing. Thank you, Sylvia, for this useful resource and for including IMPERFECT. I turn to anthologies often -- it's like listening to a beautifully-harmonizing chorus, all the different voices, raising together. Anthologies are so rich and chock full of different voices–thanks for highlighting some of the many that are recently and soon to be published! Here's another HOORAY for anthologies. You put it so well in your introduction -- $100 provides 500 unique voices! Thank you for sharing this rich collection. 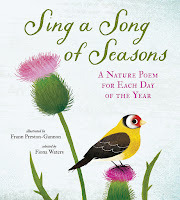 I received SING A SONG OF SEASONS for Christmas and am enjoying a poem each day. All the rest look wonderful, too. So many treasures, so many treasure chests holding them... YOU are a treasure, Sylvia. Thank you for ALL you do, which is always spilling over and sparkling. 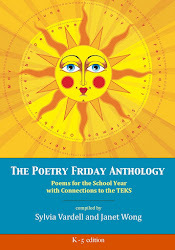 I love poetry anthologies, and am grateful that you highlighted several new ones for all ages.